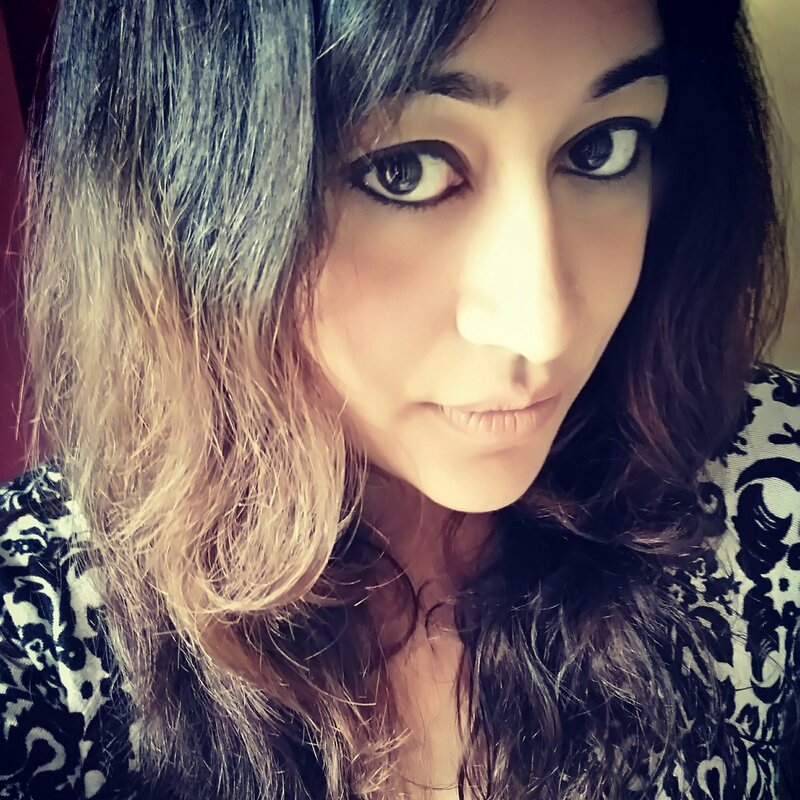 Shuchi Singh Kalra is an Amazon best selling author of two romantic comedies - 'Done with Men' and 'I'm big. So what?!'. She is the wife of an Army Officer, the mother of a pint size daughter, and two lazy cats, but she's also been an optometrist, a wine connoisseur, baking enthusiast, a restless traveller and a compulsive nomad. She's a sucker for funny romance and does her best writing surrounded either by mountains or the ocean. The characters in her books are the kinds everyone knows at least some of, in their real lives. She also runs a quaint writing and editing studio and is currently a full time editor managing the official blog of India's largest travel portal. When not doing any of the above, she loves engaging with people on social media and inflicting her opinions on random strangers. She loves creating quirky craft work and is a hoarder of eccentric fashion accessories for no reason at all. You can also go over our review of her latest book "A Cage of Desires" by clicking here. It was fun interacting with Shuchi. Have a look at the compilation our interview with her. Where do you belong to? Our readers want to know about your education and family. I was born in Lucknow but I spent most of my childhood in Libya. My parents returned to India when I was 11 and I completed the rest of my schooling from Seth MR Jaipuria School in Lucknow. I went on to study Optometry from the Bausch & Lomb School of Optometry in Hyderabad and then did my Masters in English Literature. I belong to a family of academicians, mostly doctors and professors. Both my parents are independent medical practitioners, and my husband is an Aviation engineer in the Army. I am the first in my family to go take up writing as a profession. It's been a long and arduous journey but my third book ‘A Cage of Desires’ is finally out there in the stores now. Although it straddles many genres but if I had to label it, I think it would come closest to contemporary romantic erotica. It initially started off as a short story published in New Asian Writings anthology. The story received a lot of praise which encouraged me to develop it into a full-length novel. Like all my other books, this one too is also woman-centric but the central theme is far more intense. It's about a woman's journey towards facing her inner truth and finding freedom. At the same time, it also explores the depths of female sexuality, toxic love and emotional abuse. I'm sure every reader will relate to it at some level. Tell us about your other books. My first Book was ‘Done with Men’. It was all about the romantic (mis)adventures of Kairavi Krishna – serial dater and ditzy girl extraordinaire. She is a travel writer and is urban, young and…single. After an unfortunate rash of loser boyfriends, she is pretty much done with men and ready to focus on her career. But her latest assignment, to cover Sunburn in Goa, packs more surprises than she bargained for. In the middle of partying, falling off her balcony, food allergies and ex-boyfriend encounters, Kairavi develops a hopeless crush on her dreamy doctor, but she isn’t sure if he would possibly be interested in more than her broken clavicle. And then we have Kay’s best friend Baani, Kapil (Baani’s fiancée), Ravi (Kay’s boss), Ricky (Kay’s latest ex) and the The Thought Bubble (Kay’s alter ego) to add to the mayhem. It was a fun romantic comedy. My second book was ‘I’m Big so What?’. I have always felt that plus-sized girls have been severely underrepresented in Indian mainstream fiction. There are so many books from western authors that have plus-sized heroines but that space is severely lacking in India. I thought it’s high time the plump girl breaks out of the stereotypical role of a friend, sister or comic relief, and takes over as the main lead – with a strong personality of her own and dreams to boot. Through Roli, the protagonist of IBSW, I also wanted to explore and bring forth the social and emotional challenges that a person of that size might typically go through, and how it would impact their confidence and self-worth. While my first two books were at their core, breezy romantic comedies, my latest book ‘A Cage of Desires’ is comparatively more serious, dark and brooding. Like my previous books, this one is also women centric but it has more complex characters and emotions which are deeper and more layered than the first two books of mine. What is your writing journey like, where and when did you start? Are you a writer by choice or by chance? I have wanted to write for as long as I can remember. My first unsuccessful attempt at writing a book was when I was ten. It was a science fiction written in a school notebook, and it eventually got lost somewhere. I have always found solace in writing, even as a child. I remember writing little poems and stories although I never tried to get them published. All through my school years, my writing skills were my only saving grace as I had no other talent to speak of. I can’t say I wanted to become a writer because those days (using those words makes me feel very old), it wasn’t really seen as a career option, at least where I came from. But I did maintain a personal journal and won the occasional writing/essay competition. My journey as a professional writer began in 2005, when I was working as an Optometrist at an eye hospital. I took up some academic writing assignments just to escape the drudgery of 9-5 (which was more like 7-9 at the hospital where I worked) and it was only when I received my first payment that I realized that I could make a full-time career out of this. I quit that job, took the plunge and kept at it. Looking back, I feel so glad that I did. I wouldn’t trade my career and lifestyle for anything else in the world. As far as writing my first full length novel goes, a friend of mine was telling me about her sister who had gone on a vacation after a breakup and had landed up in the hospital injured – that’s how the seeds of this story were planted in my mind. As for the title, I saw a random tweet by someone who wrote “I’m so done with men” and I realized that so many women (me included) have gone though that post-breakup phase when we say “I’m done with men” only to go falling in love all over again. It is not merely a phrase, but a feeling that most of us have actually experienced at some point. Since it encapsulated the essence of my story so well, I decided to weave it into the narrative and use it as the title too. As a new author, what is your favorite part of the writing/publishing process? Least favorite? My most favorite part of the writing process is the moment when I finish a book. It’s an amotionally overwhelming moment. I have never not cried every time I have finished each of my books. My second most favorite part of the writing process is reading the reviews for my book. Friends and family will always tell you that your writing is great but it’s really heartening to read a review from a reader I do not know that says that someone found your fictional characters so relatable and that it reminded them of themselves or some other real person. It’s a great feeling to read that. My least favorite part of the entire publishing process is the marketing and promotion part. As a newbie author you assume that once your book is accepted for publishing, your job is done. It’s only after my first two books that I have come to realize that the hard part starts after your book has been accepted by the publisher. Even though my books were received well, in hindsight I realize that they could have fetched much better sale figures if I had concentrated more on marketing them well.Marketing and publishing are the hard, sweaty, boring part of the publishing process and I hope I get better at it with my future books. Are you an avid reader as well? What kind of books do you read? What is your frequency of reading? I love reading all kinds of books from rom coms to classic literature to Indian writing and everything in between, I’ve lapped them all up. I believe that my writing style carries the influence of all the authors I have read till date. Unfortunately, between my current full time day job, my kid and managing my home, the worst casualty has been my reading frequency. I hope to make up for it soon. There are just too many authors I love! I have been a voracious reader since childhood and I never missed a chance to bury myself in a book. From the Bronte Sisters to Enid Blyton, and Shakespeare to Sophie Kinsella, I’ve loved a whole lot of them. I am currently reading a lot of Indian authors and I think some of them are extremely good story tellers. Do you pursue any other profession apart from writing? How do you manage everything? How do you find family time amidst all this? I have been writing professionally for over a decade as a freelance writer and editor with my small firm that went by the name of ‘Pixie Dust Writing Studio’. Currently I'm in a full time corporate job working with India’s leading travel platform. This is my first full time office job. I have a school going daughter and manage my home alone since my husband is in the Indian Army and posted in another city. It’s hard to manage everything alone and find time to write but I am trying to get better at stealing more free time to concentrate on my writing. Every time I have moved houses, the first thing I have done is set up my study. That cozy space is always my favorite place in my house where most of my writing takes place. When it came to my professional assignments while I was running my writing editing firm, I couldn’t afford writer’s block because there were deadlines to be met and clients to answer to. However, when it comes to my books, I give myself more leeway to slack. When I do face the reader’s block while writing my books, I have discovered that reading books from the same genre I am writing is the best way to break out of a block. It helps bring my mind into the same zone and usually I find a trigger for the words to flow sooner or later. It was a discussion with a Pakistani author who writes under a pseudonym that triggered the story. I wrote a short story titled Maya which received a lot of critical acclaim from the readers and I decided to develop the story into a full fledged novel. From there, it flowed on its own. How long did you take to finish this book? What was the process like? Out of all my books, ‘A Cage of Desires’ took the longest for two reasons. First, it was unlike my first two books, which were breezy romantic comedies, a genre which naturally comes to me. ‘A Cage of Desires’ is a dark, brooding, contemporary romantic fiction with a sprinkling of erotica. The characters are way more complex than my other books and the emotions are darker and more layered. It was an emotionally exhausting process to write it and took me more than two years to finish the book. What are you hoping people to gain from your book? ‘A Cage of Desires’ hopes to connect with the darker side in all of us that lies hidden under layers of our superficial real public self. I hope that people struggling to bridge the gap between their deep real selves and the roles they are forced to play in the real world can identify with the characters in the book and believe that if Renu can break from her cage of desires to discover her true inner self, then so can they. What were some of the challenges you faced on the road to publication? What kind of research have you done for the book? I mostly write from imagination, but I draw from my personal experience and those of people I know. So far, I haven't written anything that requires very intensive reasearch or fact checking but I will delve into that too soon enough. All thanks to the internet, most of the research I have needed so far has been possible with the help of a broadband connection. Any story behind deciding the title of this book? ‘A Cage of Desires’ traces the journey of Renu who escapes from her cage of desires to discover her real self. It’s an inner journey of pain and hope. The title just popped in my head one day thinking about how all of us are trapped in a cage of our desires and how much we want to escape from it and discover our true selves without needing anyone else to validate our existence. There is no end to the issues we as women face everyday! Right from safety, sexism, social pressure, career limitations, family dynamics, gender prejudices, abuse—there are so many issues that need to be talked about. One might say that some of these are relevant to men too, but women’s voices have been stifled for far too long. And as a woman writer, I felt I owed this to my tribe. We women live in the same world, but at the same time our realities are very different. I was brought up by very progressive parents who never discouraged me from voicing my opinions, or expected me to put up with the social norms just for the sake of it. I was a wild, rebellious teen but nobody asked me to tone down my personality and be more ‘ladylike’. My father taught me to hit back at bullies, and not take nonsense from anyone. As for the society, I could somehow never bring myself to care enough about what other people think about what I say or do. Gender biases existed all around me but they were not a part of my immediate environment. It took me a while to realize that the way I was brought up was not the norm. My relationships with men opened me up to a lot of grim realities. A large number of women in India continue to struggle with gender biases on so many fronts every day that it is insane. I want to be a voice for all these women and write about big and small issues that affect our everyday lives. Through ‘A Cage of Desires’ I have tried to carve out characters that everyone can identify with, at least in part, and believe that if they can discover their true selves, then so can everyone. Do you have any blog or website the readers can visit? What advice do you have for budding writers? - It’s going to be slow. Very slow. There’s no such thing as instant gratification. - It’s not enough to be a good writer. You have to learn to market yourself well. Becoming an author requires a lot of patience and perseverance. It is an unbelievably slow and painful process, at least for most of us. There will be times when you feel like giving up – just remind yourself why you write and keep going at it. First of all I would like to thank you for giving me an opportunity to interact with all, through this interview. Well, all I can say about me is that I was always a writer, since I started writing from my childhood days. Be it nature, river, clouds, humans and beauty, all used to inspire me to write something about them, some beautiful words, which can define their presence to all. My very first poems being love, relation ns and death. I did my schooling from St Thomas College, Dehradun one of the most prestigious institutions in India. After that, I got selected for a marine academy in Chennai, where I received my initial training and then joined sea as deck cadet, immediately after passing out of the academy. I was 18 then and with that my journey with sea, life and nature began.12 years down the line I am a ship captain, commanding huge ships over vast oceans traversing through pirates, cyclones. But that poet was always alive in me, wherever, whenever I used to go which ultimately led to composition of poems which formed part of my book. My family, which includes my mother, father, elder brother, a beautiful wife and a lovely daughter. They have always been supportive about my writing and it is all because of their good wishes that I am able to designate time to my writing. In all I have written five books. First four are poetry and the next one due for publishing is the fiction novel. My first book was Hindi poetry collection "Kuch khwab Sagar Se", Second was English Prose and poetry "Unanswered". The third one was again Hindi poetry collection, "Main Tula Hoon". The fourth one is English poetry "Sparrow in the mirror". The books have been translated into French, Italian, Spanish, Portuguese and Dutch. I have received acclamation in India as well as abroad for my books, which deals with spirituality and the positive approach towards life. Well, I wish I were new, ha ha. The best part about writing especially when you are a pot is that you are very observant about situations and people around you. They all find space in your work. Each person can relate with your writing and can find solace from your words. It is the message from the divine, which a poet is passing to the people and in turn is progressing towards the almighty. Ya publishing can be cumbersome and hectic at times but with a good publisher and nice editing, I think your book is in good hands. Oh no, not at all, I don’t read much. But yes, as I have told before, I like to observe the nature and people. This is a continuous process and it happens each and every moment of my life. I have read once "A real Man" and it has truly inspired me. The book is on a Russian pilot who loses his legs in Second World War but due to his determination and courage return back to flying. I really found the book very inspiring. Apart from that, I am an avid reader of Sri Aurobindo's work. Maxim Gorki, William Wordsworth, Keats, Munshi Premchand and Sri Aurobindo. I am a captain of a ship, a professional sailor and a passionate writer. I make sure that I pen down everything I observe and see. During my professional career also, I used to write. As I have told before, my family specially my wife is very supportive of it and it is all because of them that I am able to write. My writing space, ha ha. It is either my workspace, bus, tram, tube, park everywhere. All is my work place. I have barely written a book sitting in a room. I never face one. If you know what you are writing about and why you are writing, you will never have one. Keep your concepts clear is the secret. Tell us about your upcoming novel. Journey to the next level is about a man who undertakes the task of rescuing the soul of a man in coma which is caught in the unknown levels of life after death. Not knowing how and where to go, he finally finds the guru who shows him the hidden path to the next levels; the path which connects the mortal world to the conscious realities of being. In his journey he passes through various astral, cosmic and mental levels of consciousness where he discovers secrets of existence and how the divine play effects each motion of our life and after. He not only faces barriers in form of lower vital and volte conscious forces in his journey but must fight his own ill traits if he must succeed in his task. However, he need to careful with time, as each passing moment is not only pulling the soul of the man from where it can never return but also will make it impossible for his own soul to return to his mortal body, if he stays longer than the time assigned to him. The novel which will open the secret avenues of various levels of consciousness, the hidden worlds of para cosmic realities and the struggle of petty human soul against the immortals. It took me three years, yes three years to complete my novel. I actually saw me growing with each chapter of the book, my approach towards life, my behavior, my acceptability of everything going around me changed with the progress of the book. I wrote it when I was on ship, I wrote it when I was travelling round the globe, I kept writing it when I was in London for two years and then finally was able to complete it. Their way of looking at life and beyond. It is for people belonging to all age groups. Mystic beings, magical creatures, adventurous world and the mesage of spirituality hidden in it. It is based on my true experiences. I am pretty sure it will change the way people look at death. Being a published author, I didn’t had to face much hurdles as I was already signed by my existing publisher. Even before I had started with my book, I had my publisher with me. But yes my first book faced almost fifty rejections. As I have told before, my research is based on my real experiences. Practicing spirituality has led to the revelation of many new aspects of life which was unknown before.A true writer is one who offers something new to the world rather than following age old dogmatic customs. We are all travelers in the great caravan of life. The journey continues even after death. To understand what actually lies beyond the petty circle of life and death; what is the main purpose of our life; why do we exists and who is playing the divine game with us. Just write, irrespective of whether someone reads or not just write. Write for the satisfaction of your soul; write to mend your heart, just write. 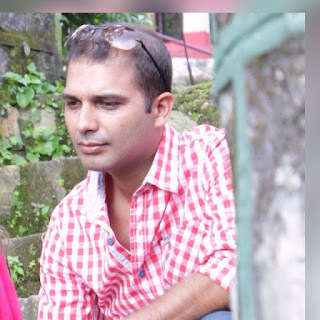 The author, Sunil Sapra is founder and CEO of Singapore based growth Accelerator for early stage software companies, Risan Asia Business Partners Pte Ltd and has been involved with many startups in his 23 years of work. Since childhood, he participated in plays, dramas and other stage activities. During his college days at BITS Pilani, he acted in, directed and modified few Hindi plays and was very passionate about this art. Later he lost touch with this creative side, and for many years didn’t do anything in this domain. After moving to Singapore in 2013, he started writing once in a while but it was during the silver jubilee reunion of his batch in 2014 that his poetic side found its “Faqeera” and he wrote some poems and songs for the reunion. Since then he has written over 500 poems in the last 4 years. Most of his poems are inspired by the daily life and what goes on around us. When you read his poems, you will feel as if you have written them yourself and that’s the power of “Faqeera”. We interviewed him recently. Here are the excerpts. I studied engineering in BITS, Pilani and actively participated in the Hindi theatre there. That’s where I developed interest in the creative side of life. The book Faqeera Chal Chala Chal is a collection of 84 Hindi poems written by me. The poems cover everyday emotions with topics ranging from Self, relationships, God, dreams, wishes, pain etc. People who have read the book tell me that they feel as if they have written it themselves. Faqeera Chal Chala Chal is my first book. However, I should do at least 2 more, one this year and one next. Certainly, by chance. I started writing only around 2014 and it wasn’t serious. I posted few of them on my Facebook, friends liked them and encouraged me to write more. Around the same time, we had our BITS batch reunion and I wrote a fun song “BITS Pilani Jaisi Koi Jagah Kahan” which was loved by BITSians of all ages and batches. I followed it up by the first poem in the book “Kadam Tham gaye”. That’s how the momentum built up which is over 500 poems strong now. After my father read some of my poems last year, he insisted that I should get them published and that’s how the book happened. As a new author, what is your favourite part of the writing/publishing process? Least favourite? The most favourite part is when you feel your words have done justice to the thought and it gives you immense joy. If everyone else likes the poem and I don’t vs. I like it and no one else does, I will pick the second case always. When you must decide about how many should go into the book and which ones to drop, that I think is the most difficult part. I won’t use the cliché that I love all my poems equally. Out of the 500, that I have written, I certainly like about 50% much more than the rest 50% and I do have my Top 25. I used to be an avid reader and would finish at least one book a week. It was no surprise for my friends and acquaintances to receive books from me on any occasion. Motivational, biographies, mythology, fiction, poetry, stories, venture capital, technology, almost every genre. Now a days, my reading has dropped quite a bit and I read summaries and blog more than the books. Krishna – The God who lived as man. The most mesmerising book about the most complete, the most magical Faqeera that the world has ever witnessed. 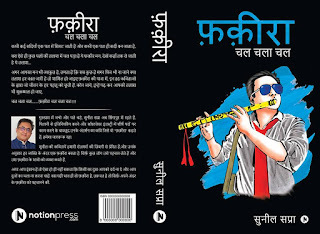 Many of my poems are inspired by this book including my very favourite, “Kahan ho, kahin par”. My book is dedicated to Krishna. Kaajal Oza-Vaidya, Osho, Gulzar Saab, Subroto Bagchi, Mohan Rakesh, Manto. I have been working in IT sales for 23 years and currently run a Singapore based Venture Builder company that helps start-ups in international expansion. Poetry is a hobby and passion and not profession. Writing doesn’t take away much time because I write only when I am in the “Faqeera zone”. The ones I wrote just for the sake of it or on someone’s request are so visible and clearly out of place. 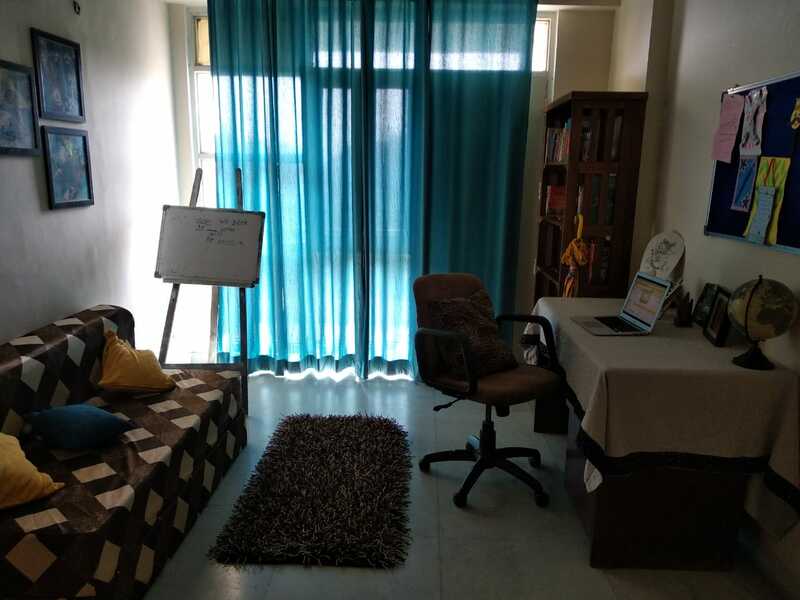 I don’t have a writing space as such. I have written poems while on a travel, during evening walks, at home, office, restaurant, hospital, cinema hall, anywhere. It’s all about the “Faqeera Zone” engulfing you. However, my balcony overlooking the ocean is my most favourite corner for writing. 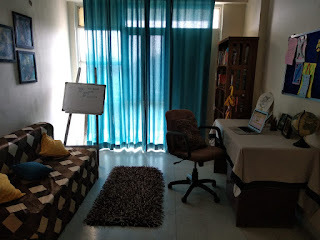 Have a look at the writing corner and the mesmerizing view from there. I don’t force myself to write because the contrived poetry isn’t something that I like. Since I write only as a hobby, I am not answerable to anyone and that’s why I go for days/ months without writing a single poem and sometimes I write 5 poems in half hour. There is no pattern or discipline to it yet. Some friends on my Facebook who regularly read and encourage me, always suggested that I should convert few of my poems to a book but I wasn’t very serious about it. When my father insisted that I should publish them and my wife helped me get a publisher and suggested that we should associate the book with a good cause. That energized me and got me going. 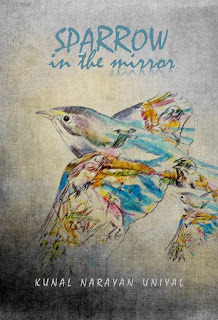 Most of my poems were scattered on FB and on my page www.facebook.com/chalfaqeera. Though the poems were ready but the process was still energy consuming one. The challenge was to get them all together in a document, decide the structure and flow of the book, out of 300 poems at that time, how many to include and which ones, do proof reading, how should the cover page look and what it should depict, acknowledgments etc. As a first-time writer, you change your thoughts and plans every day and that needs so much rework. It was very difficult to draw a line that after this no more changes and this is final copy. Overall, it took about 4 months of working on weekends but with gaps in between. Most of my poems are straight from the heart. They are not necessarily my experiences but sometimes a friend told me something or I read about something or some other inspiration. I hope that the poems will make people think and help them connect with their emotional side. Mentioned already. Otherwise, the publisher was quite supportive. There isn’t any research involved actually, because the poems are based on one’s emotions and experiences. - It might help you find and connect with your own Faqeera. Trust me, that would be an awesome feeling. - All proceeds from the book are being donated to charitable organizations. The book needs that support. Write something that inspires you and let it flow. Unless you are writing a professional book, write for self and don’t interrupt the flow of thoughts. Edit later and edit brutally.